A Tent Lighter than Your Pack!!! As an alpine climber, on nearly every trip I’ve found some gear item that I could’ve either left at home or should’ve upgraded to a MUCH lighter item. Because, damn, after 18+ hours of moving every ounce matters. But, when it comes to where we will be sleeping, there is an EXTREMELY fine line between light weight and a ridiculous squeeze that really serves no other purpose than an overly glorious sleeping bag cover. 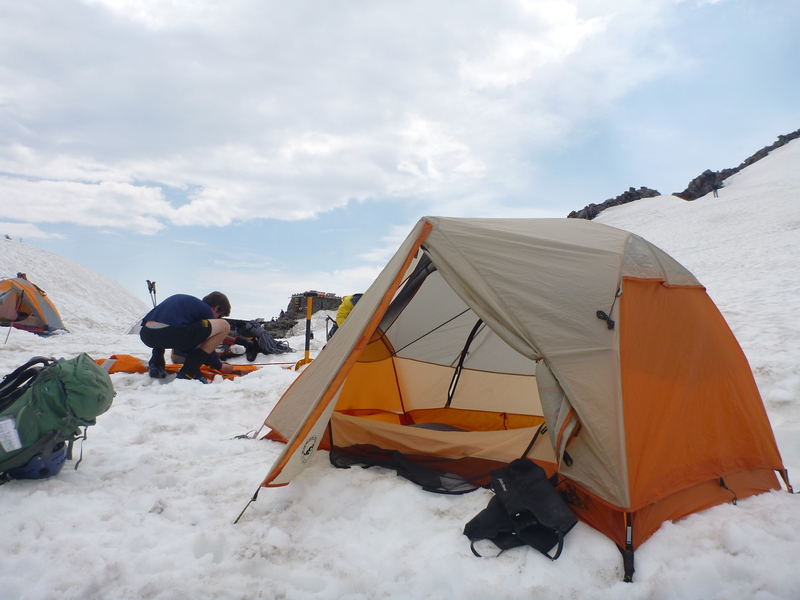 Fear not, alpinists and explorers alike, Big Agnes tent makers to the rescue! This past summer I knew I was going to be piling on the mileage, but still wanted a little oasis from the heat, bugs, wind, snow, rain, and everything else. I splurged and got the 3-season Ultralight Big Agnes Copper Spur 2 person tent system. Viola! Here was a tent that got the dimensions just right, while shaving off the oz’s. Big Agnes Copper Spur, with fly, Camp Muir on Mt. Rainier. (1) Black Diamond Firstlight Tent. At its impressive 2 lb, 13 oz weight, and as a 4-season free-standing tent, it is a very tempting buy. However here we run into the fine line between function and weight. Many of my climbing friends have mentioned that this tent is built for girls…They simply cannot fit their long legs comfortably. Also, the 4 season aspect can make it really hold in the condensation if it rains…or if you breathe…..it’s 42″ tall like the big agnes, but only 82″ in length and 28″ in width. Yikes! That’s small! I love Black Diamond, and maybe with some slight modifications this tent will be a winner. (2) North Face Pheonix. At 3 lb, 8 oz it is already 6 oz heavier than the big agnes. It has 3 poles (not free-standing) and only 1.7 sq ft increase in floor space. (3) Sierra Designs Vapor Light. At 3 lb, 12 oz, it is 10 oz’s heavier than the big agnes. It has a similar 2 pole, free-standing design. But increases sq ft by 1.5″, with a length of 93″, width of 42″ and a lower ceiling height of 38″…Though this tent is a bit heavier..it offers 3″ more of space for tall individuals. 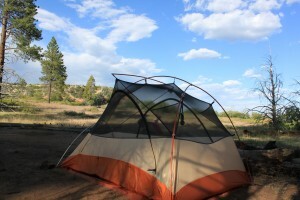 So if you’re on the market for a tent, go check out Big Agnes! They are sure to have just what you are looking for! 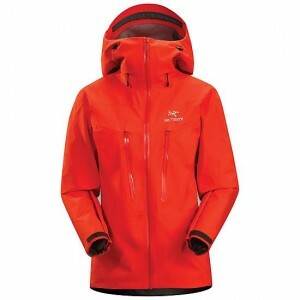 An Arc’teryx Shell for Every Adventure! When looking for a shell jacket that can handle all of our adventures, we want one that is lightweight, breathable (while retaining warmth), entirely wind and rain resistant, and extremely durable to handle our constant years of abuse. Yeah, it is a lot to ask for in one jacket! But gear is expensive and having multiple hundred dollar jackets, or one that fails us in the mountains, is just not an option. The perfect solution? An Arc’teryx Alpha SV! The photo on the left shows me in my mandarin orange Alpha LT. This is the model just prior to the SV. Why haven’t I updated to the SV? Isn’t this supposed to be a blog about the best and newest gear, you ask? Because I haven’t needed to. Hood: It is helmet compatible, but also can tightned down for a close fit around the face. Extended bill is helpful in keeping wind/rain away from your eyes. Other Helpful Adjustments: Velcro sleeve cuffs to seal around gloves & waist band cords for a tighter fit. Hey Alpinists! We are always thinking in oz’s not lbs so here are some other jackets (in a similar category) weight specs. 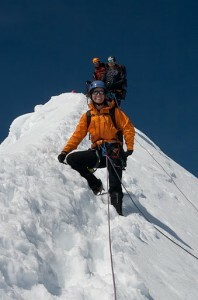 Note…Arc’teryx makes an extremely specialized goretex like none other. What do you think about the Arc’teryx Alpha SV? Do you have a favorite alternative? Feel free to share! Btw, I find orange is an excellent color for a jacket. You stick out like a giant alpine traffic cone. Great for low visibility situations! Hello Climbers, Adventurers, & Outdoor Enthusiasts! I came up with the idea to start this blog on real/heavily tested/picture inclusive gear reviews to help fellow adventurers get the best gear! I have often bought items over the years that can only be used for one thing, don’t hold up, or are so non-breathable I sweat to death. Gear is important and it can greatly impact the success of our adventures or the amount of fun we have. I have used, tested, and used again all of this gear. I have searched for the best of the best and items that we really “cannot” live without. I hope to bug all my friends into getting them to give their 2-cents on things that I haven’t tested myself…like men’s clothing…so guy and lady climbers are all included. I hope you enjoy this Blog and find it fun, helpful, and inspiring…feel free to make comments and add gear ideas! PS. 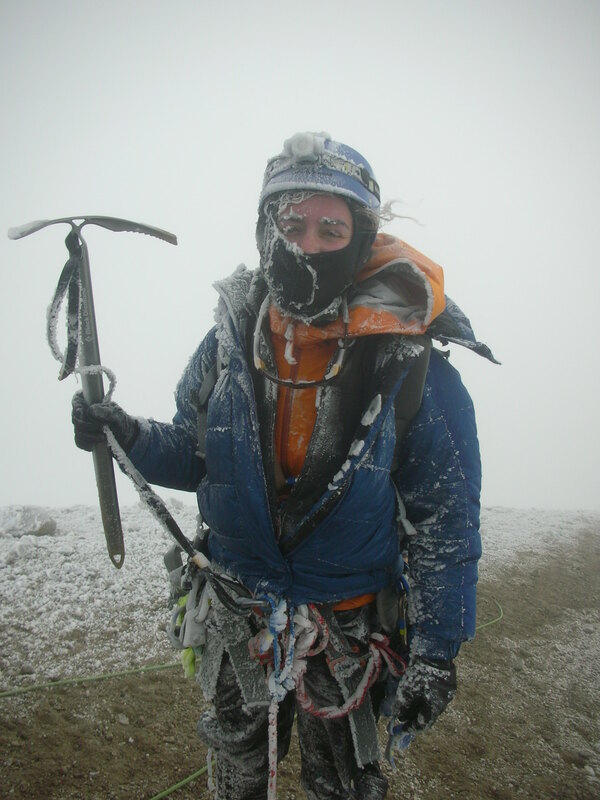 See my About page to read about my experience, adventures, and about my outdoor enthusiasm! Just a little taste of how I test gear….